Effective and safe for the demanding sensitive skin. An efficient, gentle washing gel, effectively removes impurities, sebum and make-up residues. It has a beneficial effect on the microbiome, tones and does not affect the physiological pH of the skin. It does not have a drying effect and does not contain soap (SLS and SLES free). - All skin types regardless of age, also sensitive skin. 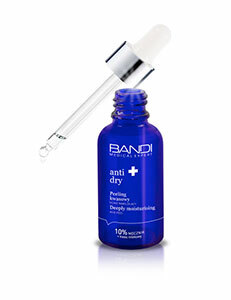 - Cleansed skin without the effect of dryness. Hypersensitivity to any ingredient of the formula. For external use only. Apply the gel onto the palm of your hand in the morning and evening, mix with a small amount of water, apply to the face and make circular movements, next rinse with plenty of water.